SmartThings makes it easy to connect the things in your physical world to the Internet. You can monitor, control, automate, and have fun with them from anywhere – at home, office, or on the go. Think about all the things in your home: doors, desks, lights, stereo, pet food bowls, basement floor… isn’t it time they started to chip in and do a little more around the house on their own? SmartThings makes it possible. 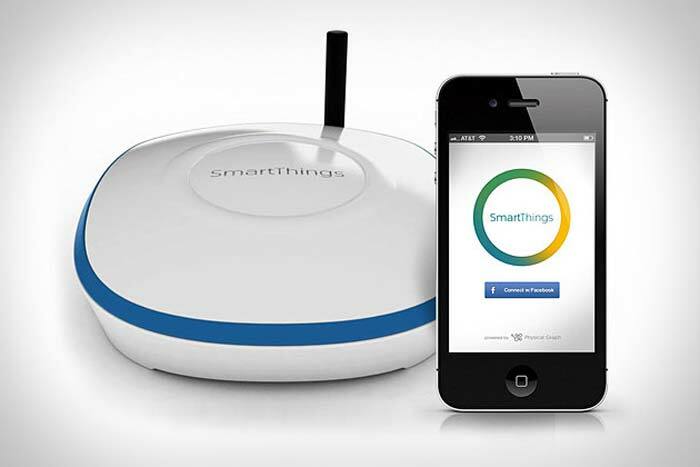 Many of the existing things you own can be made smarter using SmartThings Kits. It can be used with Power Outlet, Open/Shut Sensor, Motion Sensor & Presence Sensors. We’ve made it possible to install apps that interact with your SmartThings, as well as online and other services. This unlocks a world of possibilities and and unlimited potential to make your life easier, more convenient and fun.We call these SmartApps. Check out the video below to get a better impression. Check out the Kickstarter project here for way more information.